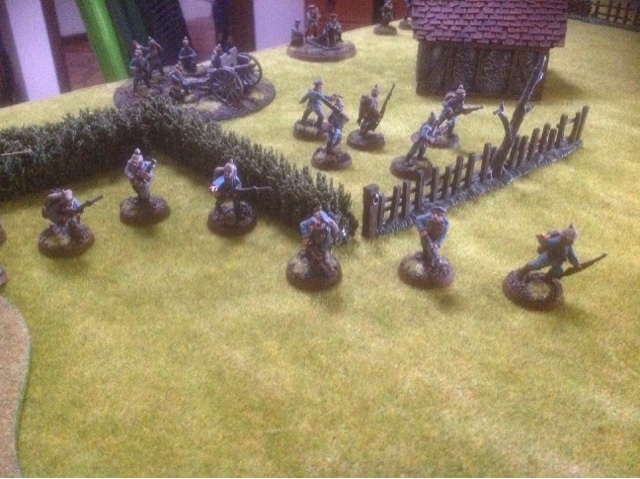 It was the second outing for my draft Russian list wih this time incorporating core units of conscripts as compulsory who were subject to the new Collective Seeds of Rebelln rule. 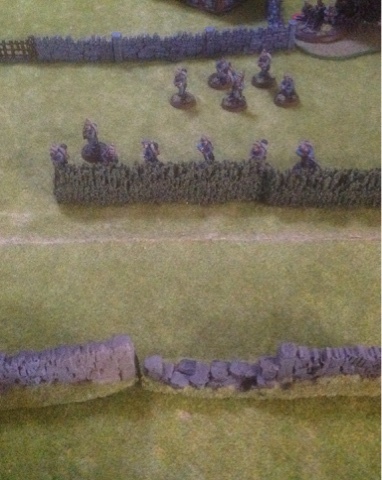 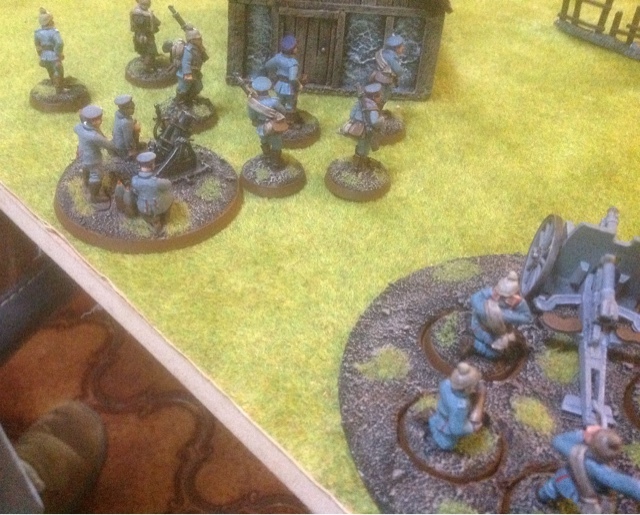 My opponent Troy took a late war German list which was always going to be outnumbered by my conscripts but would outnumber me in the artillery stakes. 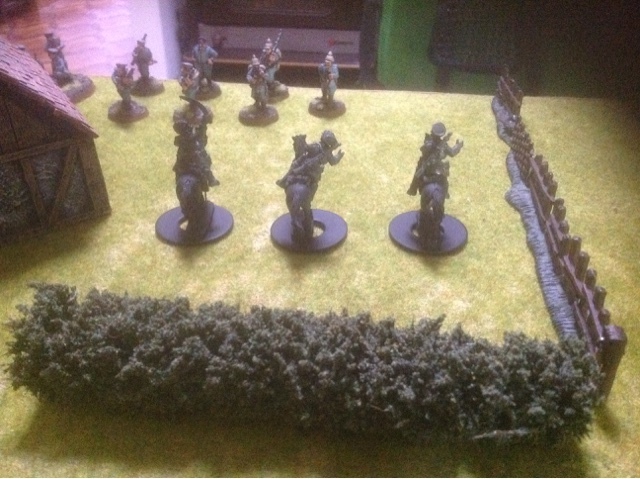 This list I chose included two conscript companies and with three and two platoons respectively, a cavalry company with command and two cavalry troops of nine each, a medium field gun, a HMG and the obligatory Batallion command (made up of the excellent west wind Romanov holiday set). 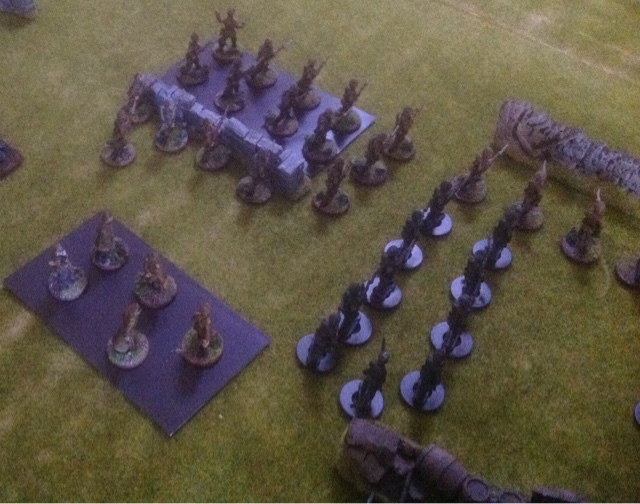 Approximately 837 points under my draft army list. 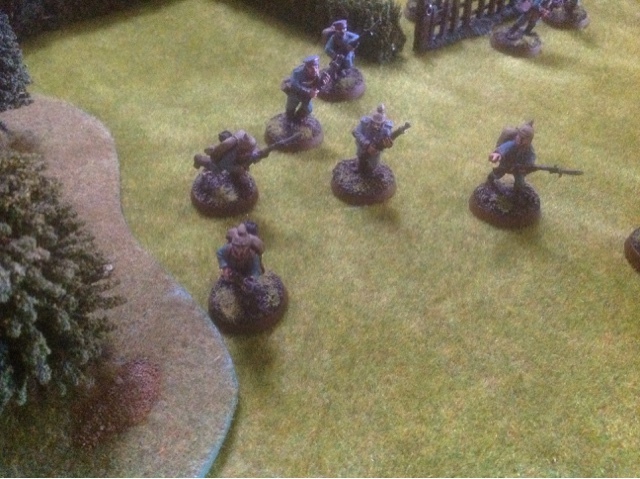 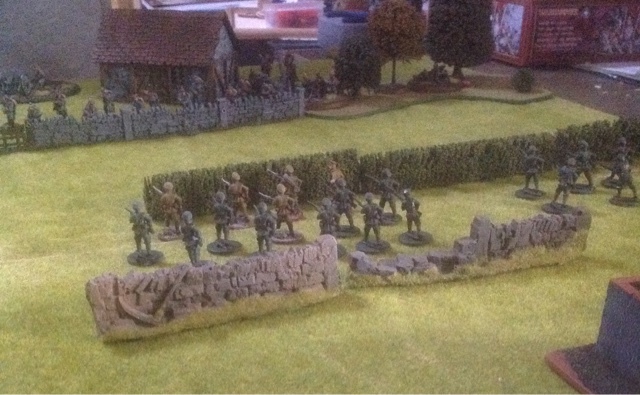 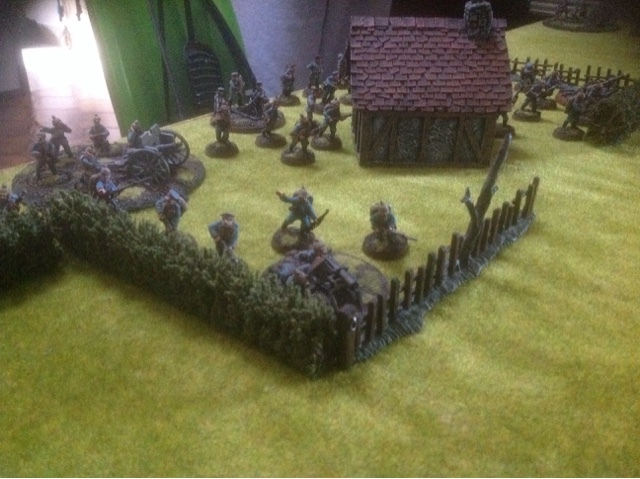 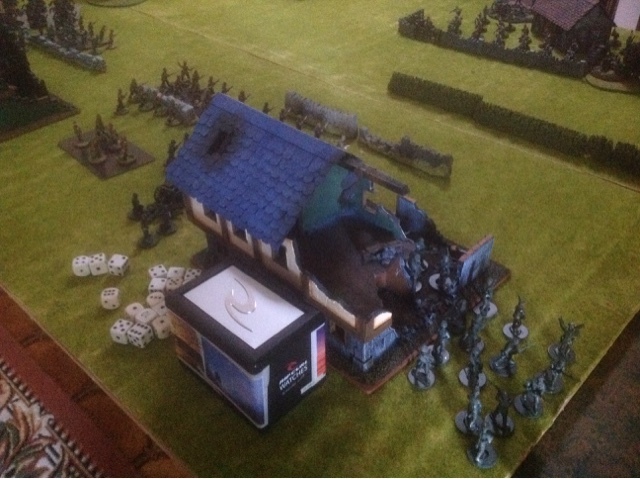 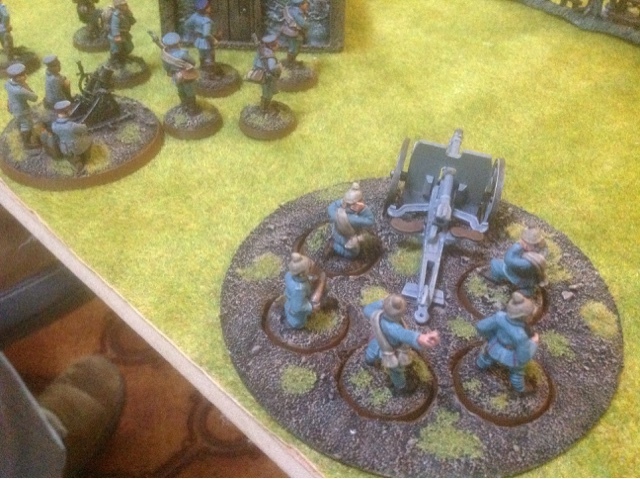 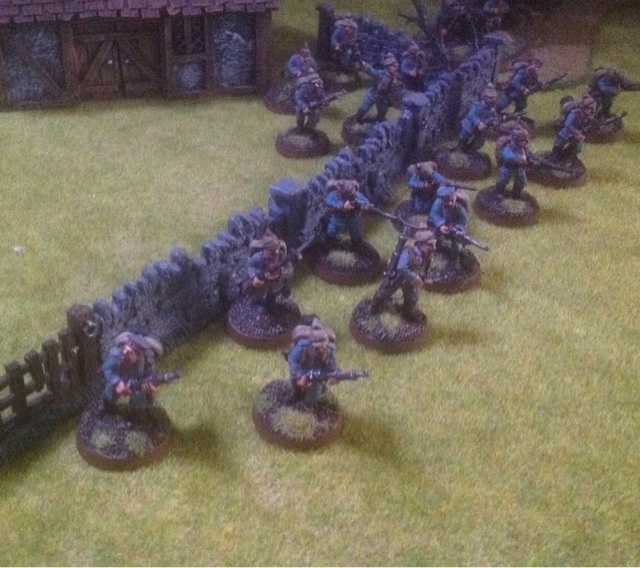 The Germans went artillery and hmg heavy with a couple of platoons of old boys who decided it was better to look after their chums with the big guns than volunteer for the storm trooper batallions. 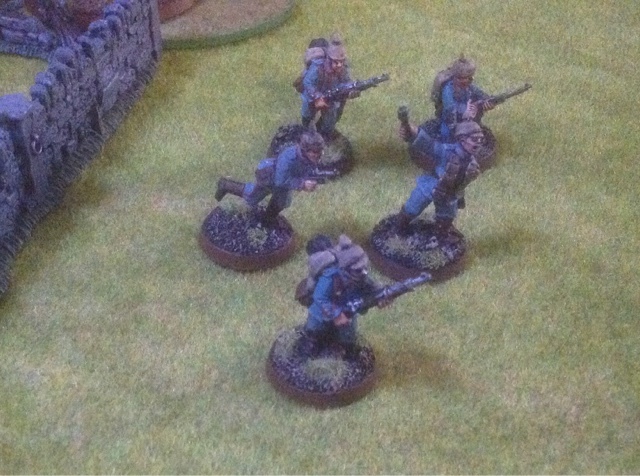 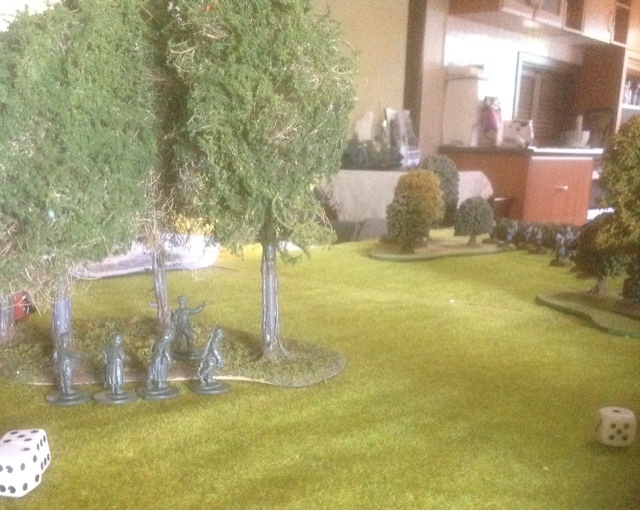 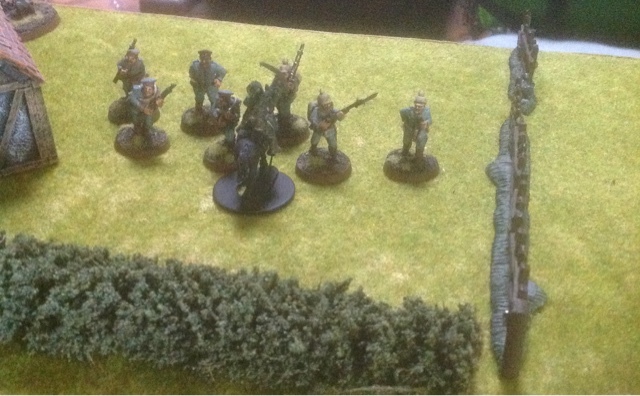 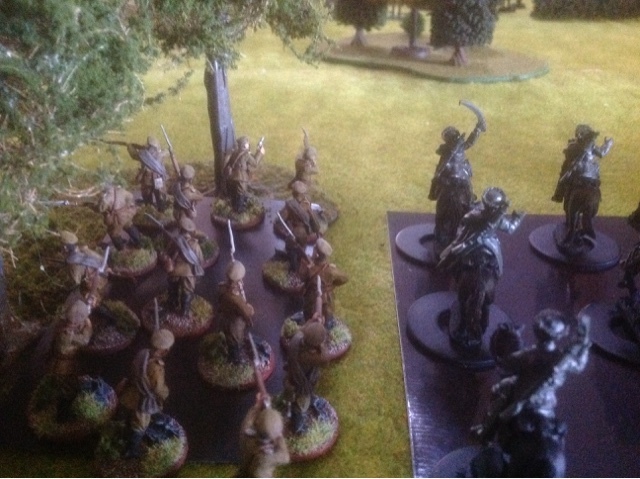 With the wind at their backs the Russians sally forth with only one failing their rebellion test. 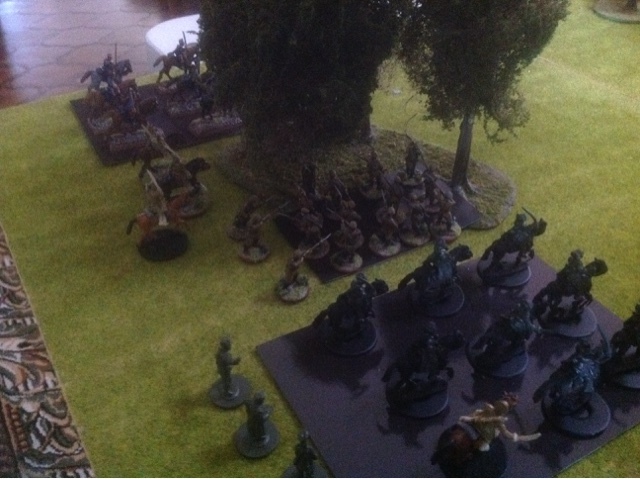 Another fantastic game but I made a couple of mistakes on my draft rules as well as some other basic mistakes - I need to be released to play this game more so I don't make so many mistakes I keep telling my Wife. 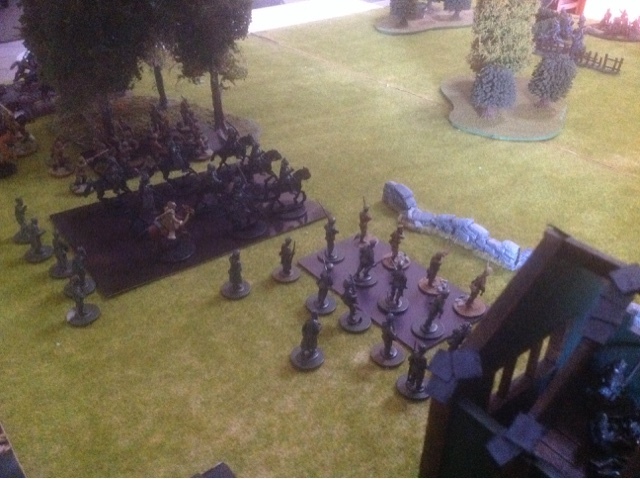 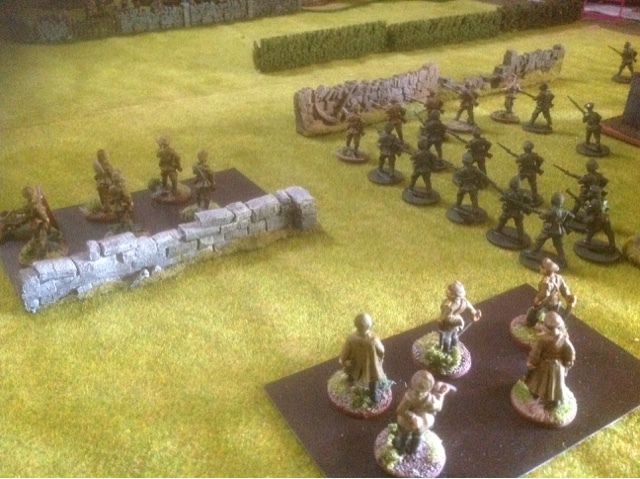 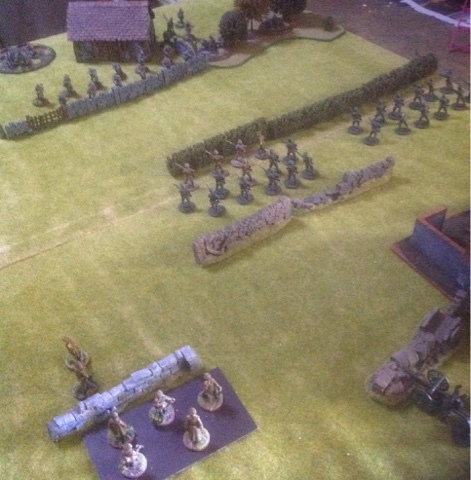 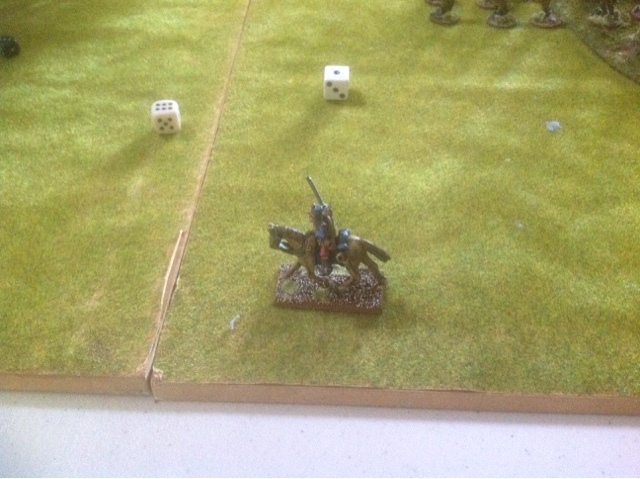 The final result was a clear German victory as they held their nerve to let the artillery and rifle fire do what they do best and the Russians fell and or fled with only one unit of cavalry making contact with the Hun.